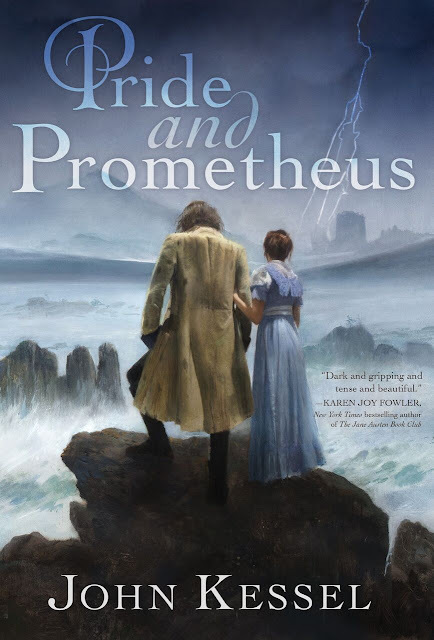 "Pride and Prejudice meets Frankenstein as Mary Bennet falls for the enigmatic Victor Frankenstein and befriends his monstrous Creature in this clever fusion of two popular classics." It's getting great reviews so far at Amazon, if those can be trusted. Vox.com calls it "achingly sincere." I think it's fabulous that the author, John Kessel, chose Mary Bennett as the protagonist - a more interesting choice than the obvious Lizzie Bennett character. John Kessel won the Nebula award for the novelette version of Pride and Prometheus, which was published in The Magazine of Fantasy and Science Fiction in January 2008. Living in Seattle as I do, there are still many long, rainy days and nights ahead of me before summer comes. I'm looking forward to my next evening spent in front of the fireplace, dogs curled on their beds at my feet, wine glass in one hand, Kindle in the other, exploring this book!